OMG Posters! » Archive Florian Bertmer's Book Show Prints (Onsale Info) - OMG Posters! Moon Editions will release Florian Bertmer’s book show prints later today. 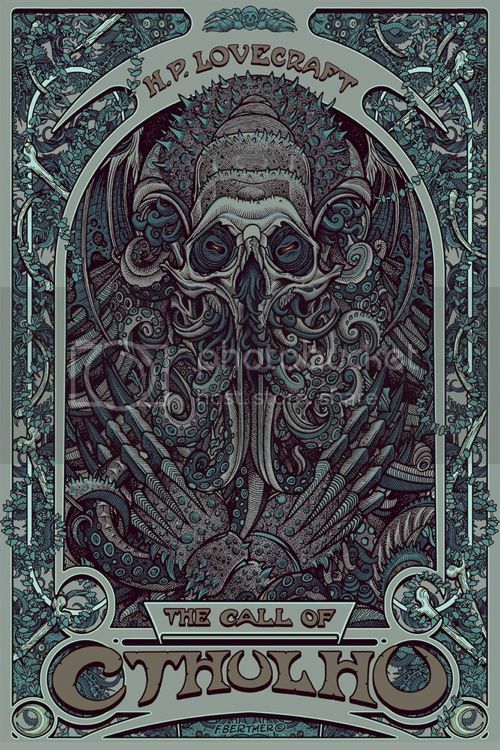 “The Call of Cthulhu” and “Paradise Lost” will both be available in gallery editions, online editions, and variants. These are screenprinted and prices will range from $50-$100. They go up today (Friday, May 6th) at a random time. Check out everything at Moon Editions. 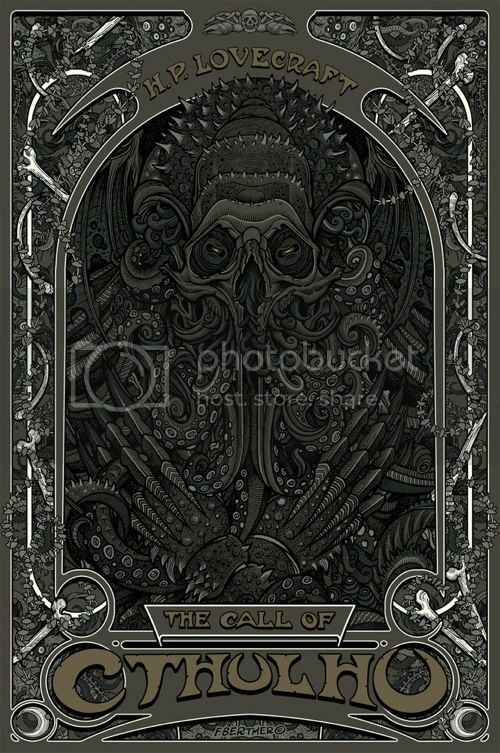 Snagged a Call of Cthulhu….. just made my day :). Thanks Florian, for putting out such an awesome print! Got one of the online version Paradise Lost ones when they were putting them up originally onto the shop, was a buy button for a minute or so, fingers crossed it still counts as I got through paypal. Man, I really lucked out this week. 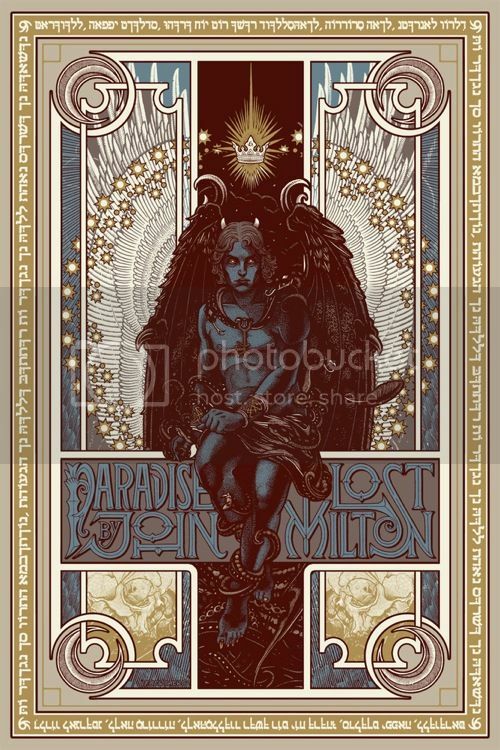 Grabbed FB’s Paradise Lost and DD’s Walking Dead. Thanks for the heads up on this one! I wouldn’t have even known they were on sale. Gah! These are gorgeous and wall-worthy, wish I hadn’t missed them. These are stunning and even better in person. Shattered I missed out on that blood variant. Amazing piece. This is illustration and printmaking at is finest. 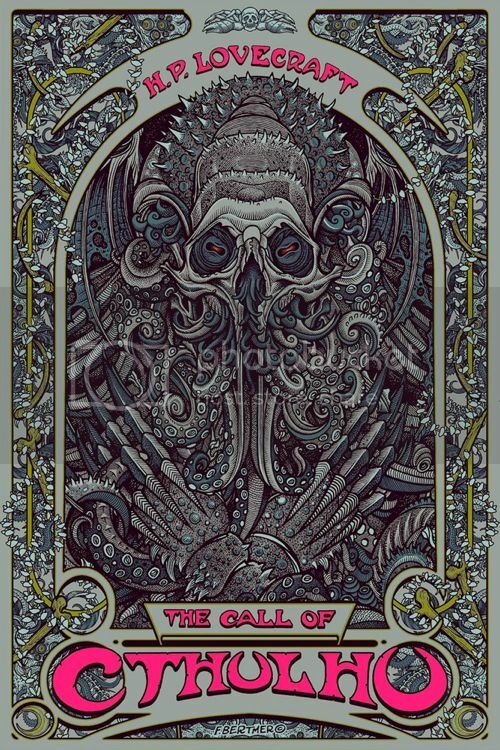 I love Bertmer’s work so much I may pay flipper prices for one of these. Nobody does it any better than him.